In previous post I have mentioned that we were cleaning the house before Ramadhan. 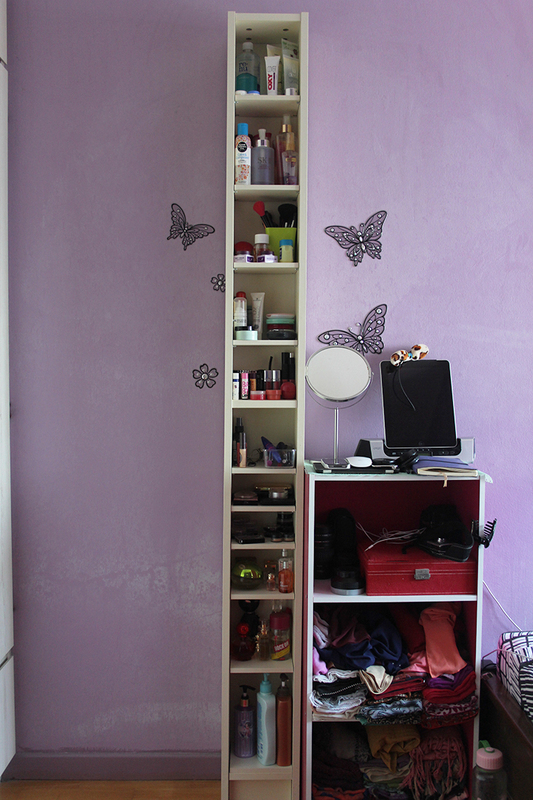 I also took this time to move the DVD shelf in the family hall to my room so I can put my beauty stuff. Reason being that my dressing table that was screwed on the wall fell down because I put so much things on it and it couldn’t hold the weight anymore so I need to get it fixed first before I can start using it again. This is how my shelf looks like. Excuse the white dust stain on the wall. I haven’t had the chance to wipe my wall yet. And also excuse the mess on the 3-shelf cabinet. It was actually for my Shah Alam campus condo but since I’m on a holiday from school, I took it home. I have most of my tudungs there and my gadgets. 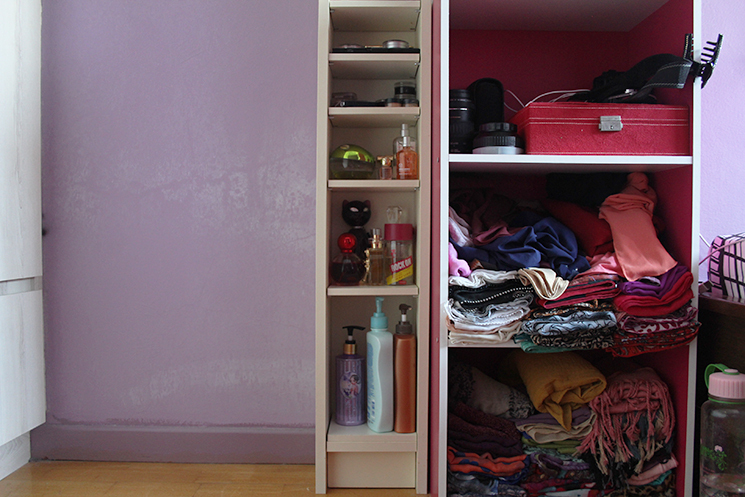 On the top shelf, I have my contact lens solution and case, pimple medication, masks, hair oil, and face moisturizer. I have makeup removers on the second shelf along with my Victoria’s Secret’s body mists. On the third shelf, I have my makeup brushes, face cream, face oil, and vaseline. 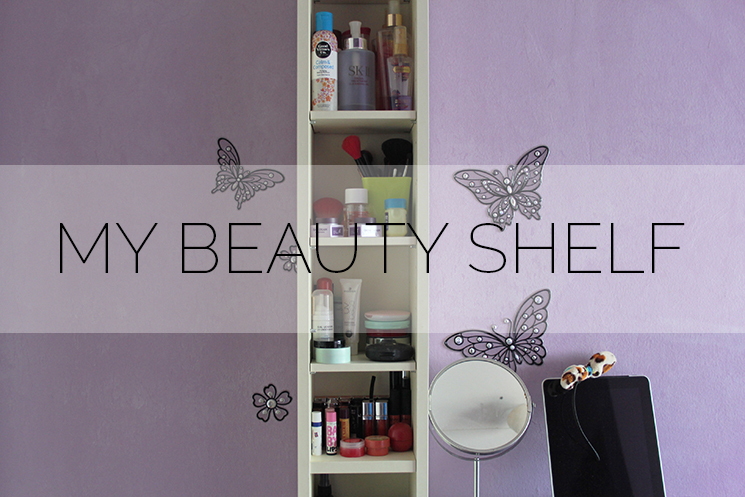 I gathered my face products such as foundations, primers, and powders in one shelf. Then I have my lipstick collection below the face products followed by pencils products, mascaras, eyelash curler, concealers, cream blush, and makeup setting spray at the bottom. 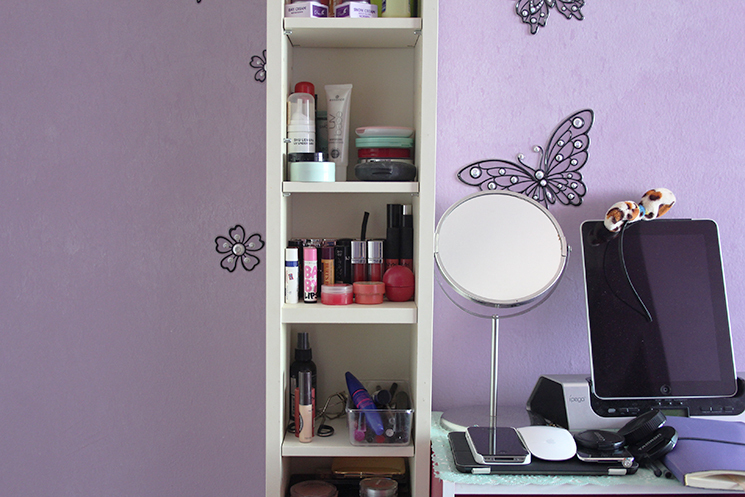 On the bottom half, I have more makeup products on the first and second shelf, and perfumes on the third and fourth shelf. 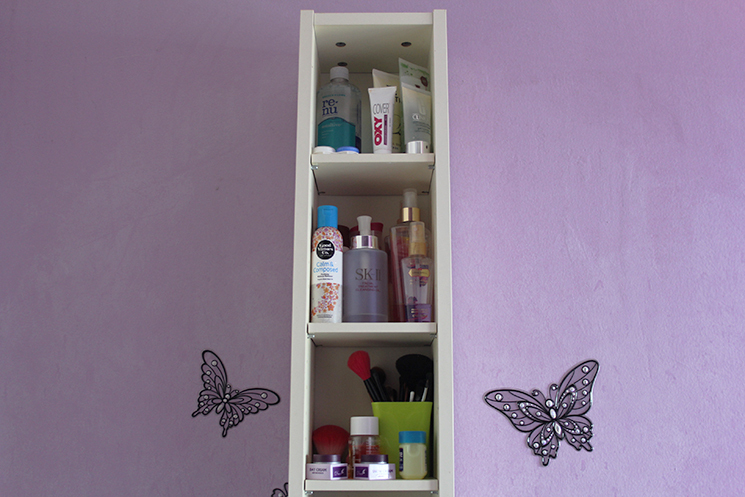 At the bottom shelf, I have my body lotions that I use regularly. They are very organised in my opinion and I love looking at them. So pretty to look at! Anyway, I hope you enjoyed this post and let me know if you have any questions by leaving a comment down below. Thank you for reading!